In one of the most exciting Masters tournaments in years, roars echoed throughout Augusta National all weekend as Tiger Woods commanded the spotlight yet again. Wearing his signature red mock turtleneck and black trousers outfit (a throwback to his last win at the Masters) this Sunday, Tiger Woods won his first Masters championship in 14 years, capturing the fifth jacket of his career, while wearing a Rolex Sea-Dweller Deepsea with D-Blue dial. Posting a final round 2-under 70 to win the 2019 Masters, this is the 43-year-old’s first major win since the 2008 U.S. Open. 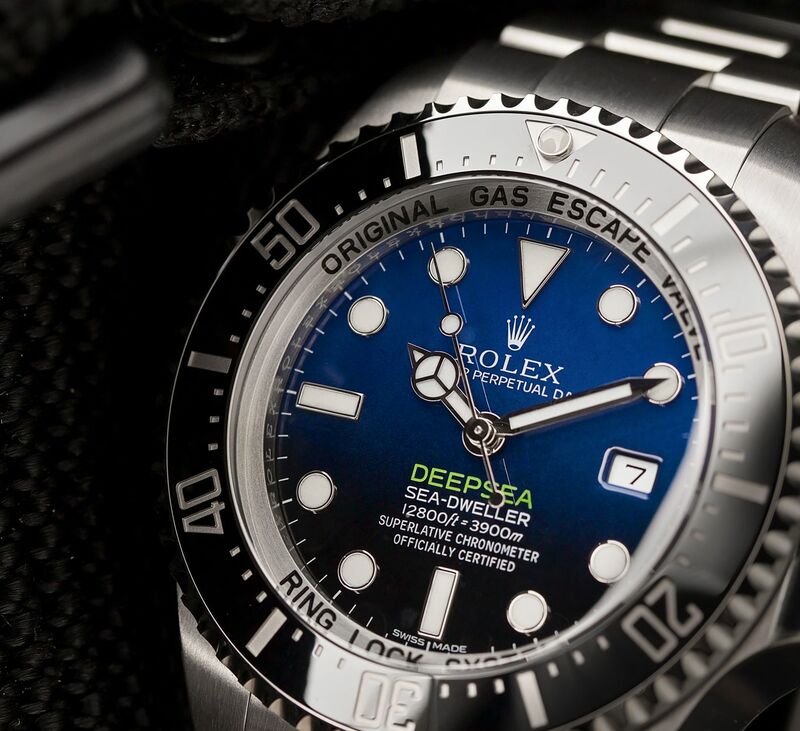 Rolex’s Deepsea Sea-Dweller line of professional dive watches has been a longtime favorite of Tiger Woods. The roar says it all. Due to impending storms, the officials had to cancel the green jacket ceremony on the terrace, but we still got to witness Patrick Reed, the 2018 Masters Champion, slip the green jacket on Tiger Woods in Butler Cabin. And peeking through the sleeve of the coveted jacket was Tiger Woods’ Rolex Deepsea D-Blue dial on his wrist. Tiger Woods has been an official Rolex ambassador for a few years now, and Rolex’s mega Deepsea dive watches have been a long time favorite of his. We also couldn’t help but notice Chairman of Augusta National Golf Club Fred Ridley’s green Submariner, perfectly matching his own green jacket, as he congratulated Tiger Woods on his epic win. The green jacket. "It fits." With this win, Tiger Woods now comes in second for the most Masters wins, trailing Jack Nicklaus who has six wins, and taking over Arnold Palmer, who had four wins. Jack Nicklaus is also a Rolex golf ambassador, as was Arnold Palmer (1929 – 2016) when he was alive. Just a few years ago, it was inconceivable that Tiger Woods would dominate the leaderboard again due to a host of critical injuries and surgeries. Yet, after an 11-year drought, it’s clear that Tiger Woods is the comeback king – with a crown on his wrist! “THE RETURN TO GLORY!” Tiger Woods wins the Masters for the 5th time. 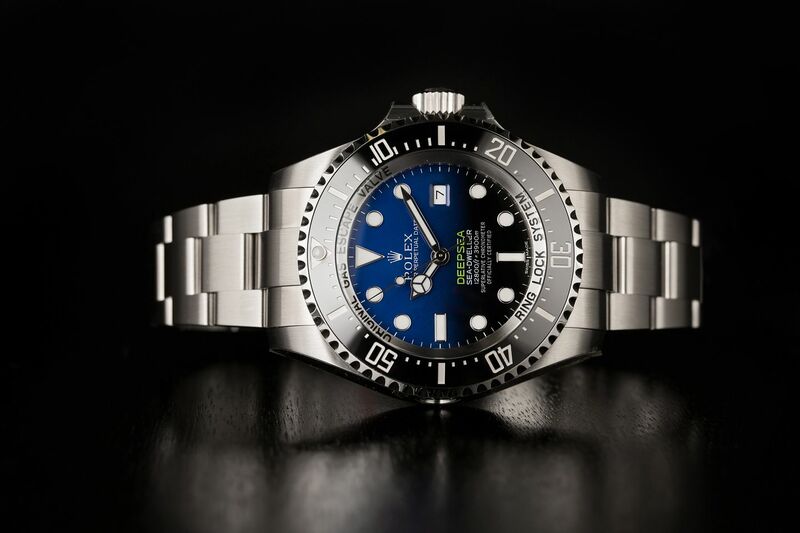 In the past, Tiger Woods has worn the black dial variant of the Rolex Deepsea; however this year, he has opted for the D-Blue dial “James Cameron” edition.